It’s interestingly fortuitous that I get to see Skyfall and Argo (2012) back-to-back (such are the vagaries of film distribution) because the juxtaposition prompts me to think about two very different approaches to making a thriller. One comes from a major franchise and, although the casting of the hero has been flexible over the five decades of its existence, the plan has always been to construct a story around whichever star is playing the leading role. Like most series, the casting of the lead is therefore critical. Find someone the audience wants to see on screen for most of the two or more hours of showing time, and you probably have a winner. The tried and trusted formula is rolled out. Everyone basks in the charisma of the star and the studio banks the money. The other approach has an original story and draws on the potential strength of an ensemble cast where no-one is going to be completely dominant and everyone will contribute meaningfully to the success of the whole. Well, in Argo’s case, the actual story is original — sometimes fact is stranger than fiction — but the plot is full of clichés known to build tension. However, the whole is carried off with such style and panache that I can forgive the screenwriter, Chris Terrio for trotting out all the potboiler elements, and director, Ben Affleck for filming them. This film is terrific fun and, ignoring convention, it makes Skyfall feel dated and slow-moving. In saying this, I single out Ben Affleck for particular praise. All too often, actors who direct themselves in the leading role fall into the trap of trying to manipulate the film to make themselves look good. Although he plays Tony Mendez, the agent who thinks up this plan for the rescue of the six Americans hiding out in Iran, he’s essentially faceless. Whenever another cast member can speak, that’s what happens. Whenever the camera can realistically look somewhere else, we see the other actors at work. This is a particularly selfless film and all the better for it! So we start off in cinéma vérité style with a brief history lesson and then watch recreated and original mob scenes as revolutionary crowds storm the US embassy in Tehran and arrest everyone they find inside. There are many instances when television screens show what I take to be original footage of real events plus snatches of interviews with the talking heads of the day. Insofar as this is a fictionalised version of real-world events, the film tries to locate itself in the time and gives the modern audience a sense of what it was like to live through this difficult period. Six of the staff manage to leave before the mob breaks into the main building and they find a hiding place in the home of the Canadian Ambassador (Victor Garber). This gives both the American and Canadian government a headache. How can these six be rescued with the least political fallout? The answer is provided by Tony Mendez who puts together a movie proposal in Hollywood and goes to scout locations in Iran with a party of seven. Since six more people than actually arrived will be leaving, the rescue depends on the chaotic state of the paperwork at the airport. The theory is that the Revolutionary Guards will be confused by all the documentation in support of the film project and wave them through without the matching landing passes. It’s at this point we get to two wonderful performances from Alan Arkin and John Goodman. I’ve already booked my seat for a sequel showing these two improve on the Get Shorty model of making a Hollywood movie without spending any money. They light up the screen with one of the best double-acts of the year, finding a script that fits Iran as a location, and pitching it to generate credible buzz in the trade and news media. With the movie greenlighted, Tony Mendez takes off and meets the six. What happens after he gets to Tehran are the usual problems of some of the embassy staff being understandably sceptical of this plan, a maid in the Canadian household who may give them away, loss of confidence in Washington, the Hollywood team being delayed on their way back to the office to take the vital call from the airport, and so on. As I said earlier, we see all the usual devices on display to encourage us to be interested and excited. It should all fall flat, yet it remains one of the best thrillers of the year so far. I think it just has a nice sense of humour, great timing, and a consistently excellent cast. This being an American film, I need to make what’s now a fairly routine complaint that history is slightly different in certain key respects. I’m sure home audiences will not care that the positive contributions made by the British and New Zealand staff in Iran were actively omitted. Indeed, the British are libelled. It’s completely gratuitous to allege the US six were turned away by the British Embassy or any of its staff. But this is what we’ve come to expect from American films when they set out to do history. They do whatever makes Americans look good and who cares about the rest. So there you have it. 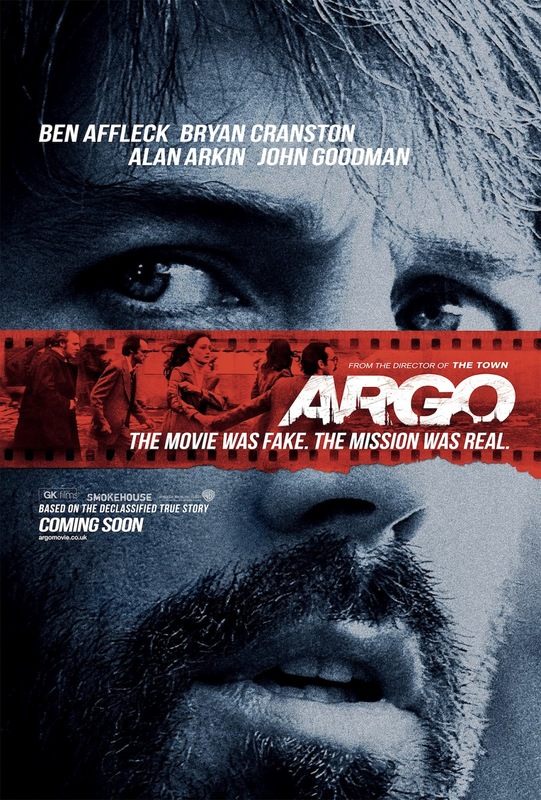 Putting aside the issue of whether films pretending to be based on real events should accurately represent what happened, Argo should be a must-see for everyone who wants one of the best directed, best acted thrillers of the year. It’s a simple if slightly incredible tale, well told by a humble director as against the pretentious grandiosity of Skyfall which impresses but is, as William Baldwin would have it, a fairly empty vessel making a loud noise. People are already talking about Argo as a potential nominee for awards. At the very least, it deserves nomination. More generally, see Should historical films be like documentaries? For a review of another film by Ben Affleck, see Gone Baby Gone. 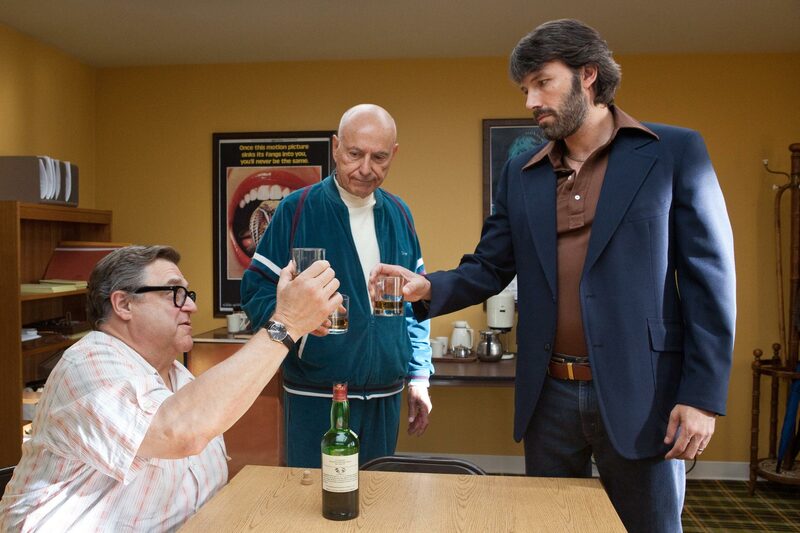 For the record, Argo won the Critics’ Choice Awards for Best Picture and Best Director. 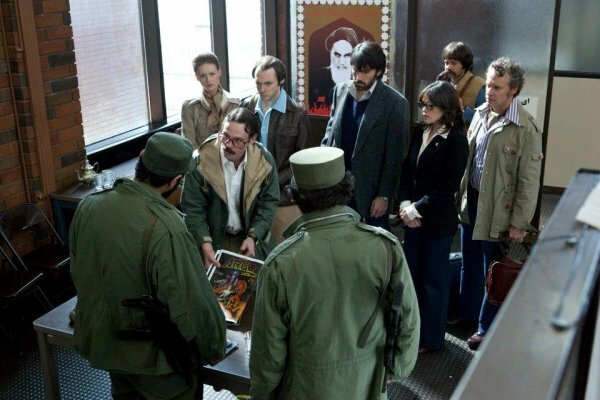 Similarly, Argo won the 2013 Golden Globe Awards for Best Film and Best Director.